This advice came from Barbadian Senator and Vice President of the Inter American Commission of Women (CIM) Irene Sandiford-Garner. Sandiford-Garner was addressing a room of young women from secondary schools and other institutions during a workshop on empowering young women for leadership. The workshop took place at the Peace Memorial Hall on Monday, February 28, 2011. Sandiford-Garner speaking to the audience of young women stated that women in leadership roles in the top ranks of Government are in the minority. She stated that St. Vincent and the Grenadines are trailblazers in that this country has had the most successful women parliamentarians in the history of the Caribbean. Commenting on Parliamentarian Ivy Joshua, Sandiford-Garner stated that she was in awe when she found out from the Minister of Education Girlyn Miguel earlier that day at a Panel Discussion that Joshua was illiterate. She expressed that it was impressive that Joshua was able to navigate herself skillfully in a male dominated field and she was illiterate. âShe could not read or write and if she could do that without any tools, there is absolutely no reason why any of you here this evening who have the benefit of an education canât be leaders of your country.â Sandiford-Garner expressed. Though she stated that being a woman politician in the Caribbean is hard, Sandiford-Garner encouraged the women not be afraid of the obstacles but to become empowered, following the examples of the great women who have gone before them and to rebel against the stereotype of women. âThere are a number of stereotypes that we have to fight against and the main stereotype for our female politicians is that they should be home taking care of their child.â Sandiford-Garner said. Senior Partner at the Baptiste and Co. Law Firm Inc, and Former Minister of Culture RenÃ© Baptiste stated that at a regional meeting last year, the women leaders of CARICOM were underrepresented. Baptiste described the issue as disappointing as leaders for many other countries were well represented. The issue was also highlighted by Sandiford- Garner who stated that Caribbean Women are always underrepresented at forums. 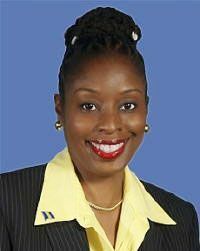 She stated that this issue needs to be addressed in order for the Caribbeanâs voice to be heard in hemispheric forums. The panel discussion also featured addresses from Deputy Prime Minister and Minister of Education Girlyn Miguel, and Audrey Walters-Butler, Treasurer of the National Council of Women. Miguel, during her presentation, discussed her life story from her humble beginnings in the education system to being appointed Deputy Prime Minister. Baptiste also give details on her life as a lawyer and the several challenges she faced in the legal profession and her accomplishments in the political arena. Walters-Butler, presenting on women in Agriculture, stated that women have made strides in the industry as they have evolved from women of poverty into creating businesses within the industry. The panel discussion also featured a question and answer session. The events, which took place on Monday, were organized by the Organisation of the American States in St. Vincent and the Grenadines as a response to the need to develop women leaders. The Bolivarian Republic of Venezuela, the Government of St. Vincent and the Grenadines and the CIM also collaborated with the OAS in the activities.